Undoubtedly one of the best viewpoints in the south Lake District has to be Scout Scar a few miles west of Kendal and offering breathtaking panoramic view across the Lakeland Fells as well as across the delightful Lythe Valley and down to Morecambe Bay. Looking north west to the snow capped fells. My last blog on this location was in the summer, focusing on the flora and fauna as much as the dramatic views. This time I showcase the location in winter. 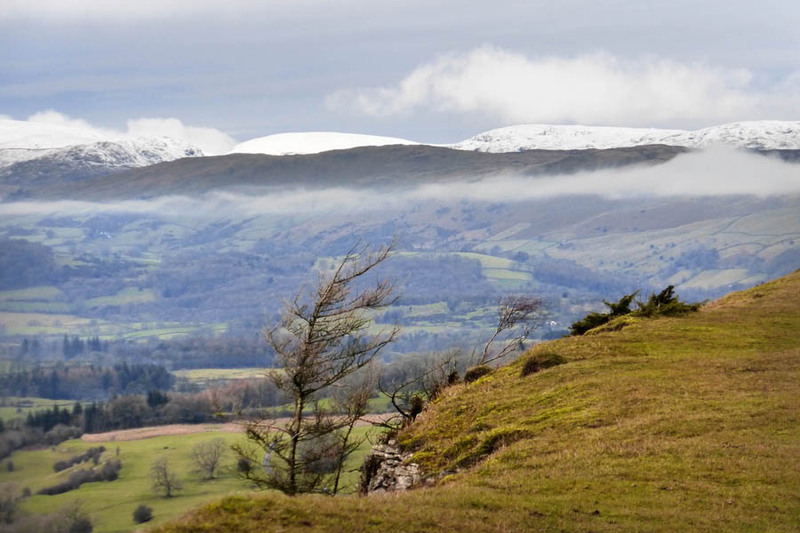 If you are looking for somewhere dramatic to take your camera, Scout Scar is ideal and very accessible, requiring no more than a few minutes walk from the car park if you are carrying heavy gear. There seems to be something to offer here in every season, every weather and every time of day. The sharp edge of the flat-topped limestone escarpment adds depth and a sense of altitude to your photo, as well as direction, when taken on an angle. Winter trees on the valley floor. Looking down onto the valley floor below (being very careful near the edge of the cliff! ), is as rewarding as the view looking towards the horizon. 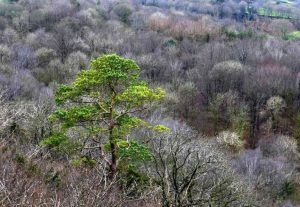 I loved a single lush evergreen Scots Pine standing amongst the bare leafless surrounding trees. View with variety looking towards a snowy horizon. Another Scots Pine makes a handsome foreground feature in my zoomed in view looking to the top of the Lythe Valley. 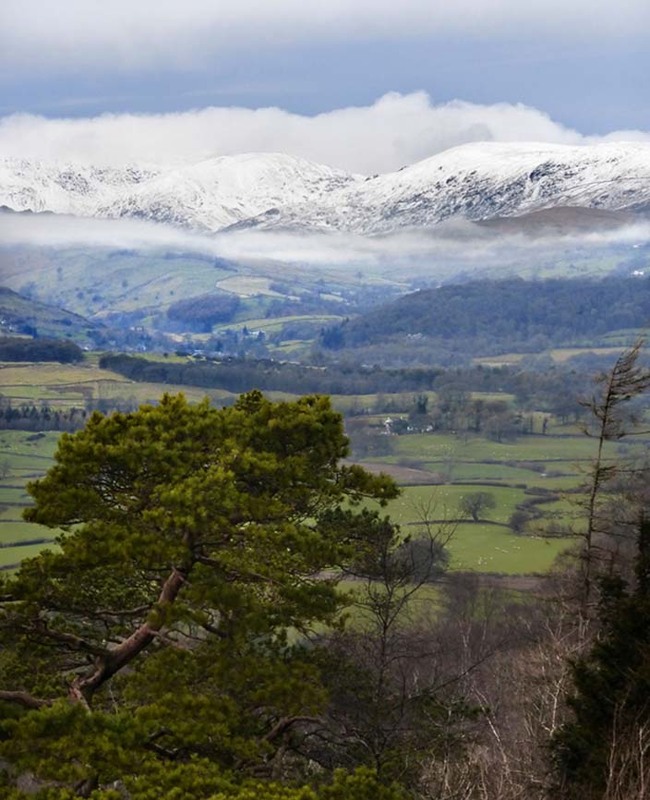 The wisp of developing mist separates the green rolling hills from the snowy peaks and dramatic sky. Lots going on in this photo made it particularly rewarding, even though I admit to not having brought the camera and zoom lens that would have given me higher quality. It just goes to show, don’t take dull weather and the thought that taking all your camera gear pointless for granted, as things can change very quickly, in these parts. Be prepared! 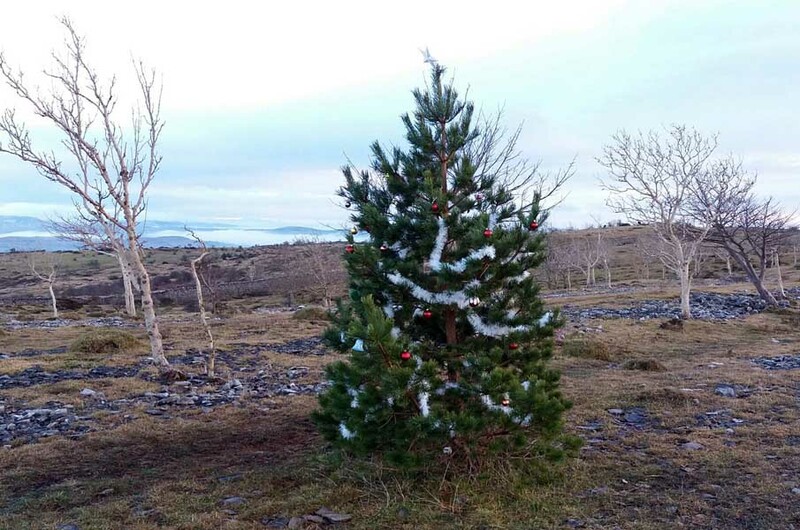 Festive touch on the summit! 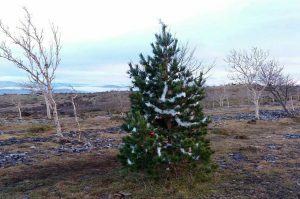 This tree which someone had lovingly decorated was a delightful festive touch on the summit of Scout Scar this week and worthy of a snap too. 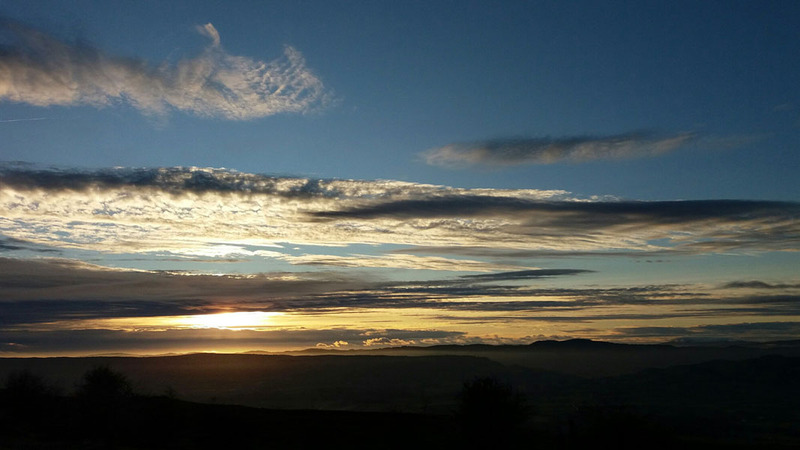 Sun sets over the Lythe Valley. A great ending to a very pleasant stroll came as the sun began to set, creating subtle but dramatic ‘layers‘ below a lovely sky. I really can’t resist a good sunset!